Spira, once a peaceful land, has been under a threat from the existence of Sin for a 1000 years now. 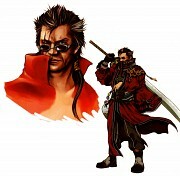 Their only hope is the Summoners. Only they are able to defeat Sin and bring the "Calm" if they complete their pilgrimage. 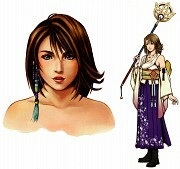 In Besaid Island, a 17-year-old newly made Summoner, Yuna, meets Tidus - a boy who claims to have come from Zanarkand. However, as unbelievable as it might seem, Zanarkand, is no more than ruins and rubble from war that took place 1000 years before. 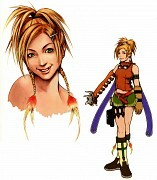 Together with Tidus and her guardians Lulu, Wakka and Kimahri, Yuna sets upon a pilgrimage as a Summoner in order to bring peace back to Spira. First : The battle system. not only that, you could change character with pressing the L1 button, for example : Tidus has a pretty low HP, but the group were only Lulu and Riku, You want to change it to Yuna because you don't have any item, you could simply press L1 to change character and heal him. Second : The Sphere Grid System.